With much fanfare, and the assistance of a number of international CBI consultancies, the Republic of Moldova announced this year that it had created its own Citizenship by Investment (CBI) program. Moldova has a close relationship with the European Union, and its citizens have visa-free access to the 26 Schengen countries of the EU, which makes its CBI passports attractive, on its face. 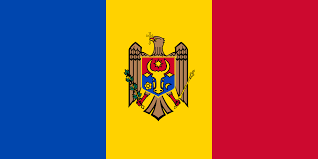 (1) Moldova has a long and sordid history; it is the regular destination for Russian organized crime money laundering operations.. Its courts, government and law enforcement agencies are stained by corruption, and frankly, not trustworthy, if you are a wealthy foreign national that contemplates acquiring a passport and making an major investment. It has a reputation regarding its jurists, who are known to totally ignore the Rule of Law. (2) Given the low level of esteem that the world's law enforcement and intelligence agencies hold Moldova, presenting a Muldovan passport when entering the European Union might very well result in a criminal investigation being opened against you. This alone should be sufficient to deter applicants for Moldova's CBI passports. Nobody wants to have a bulls-eye painted on their back. (3) Do not listen to the prattle espoused by CBI sales consultants; the country is too rural and too poor to be a viable candidate for EU membership at this time. An additional negative issue is the existence of a breakaway state, Transdnistria, which is legally Moldovan territory, but a nation unrecognized by the world at large. 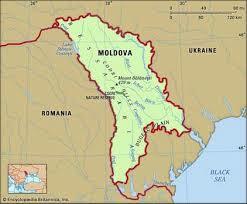 Unless and until this spinoff returns to Moldovan control, EU membership seems to be remote. All this baggage means that displaying a passport from Moldova, upon arrival at customs and immigration abroad, could be regarded as too dangerous.While it is up to the attorneys for individual CBI applicants to decide whether the potential risks outweigh the passport benefits, and to advise their clients where they should make application, an objective conclusion should be to avoid this CBI jurisdiction, due to its high risk status, at this time.